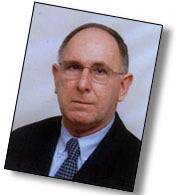 Ambassador Gershon Gan served as a career diplomat in Israel’s Ministry of Foreign Affairs for over 30 years, including diplomatic postings in the U.S., Europe, and Africa. He has filled a variety of significant roles including: Ambassador to Zimbabwe and a number of other African countries, Consul for Public Affairs in New York and Boston, Delegate to the UN and Israeli Diplomat in Residence at Tufts University in Boston. He has been involved in numerous international negotiations including peace talks with both Egypt and Lebanon. He is now an independent consultant, and also travels widely speaking on current developments in the Middle East and development aid issues.